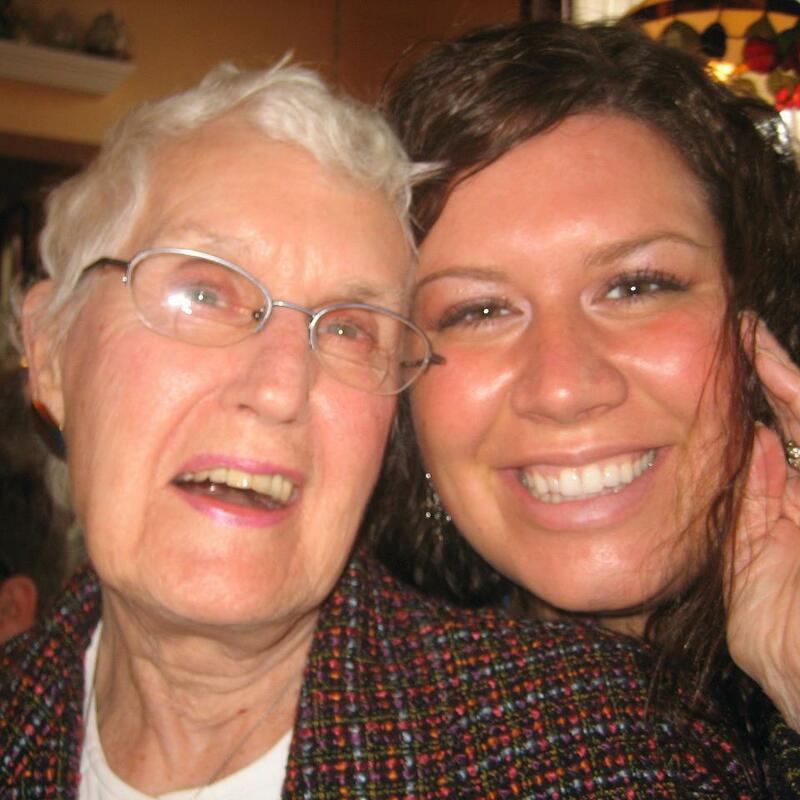 Miss Lifesaver: Rest in Peace, Grams! Forgive me, that I haven't really been in a blogging mindset for the past week. I tried a couple times to write, but there was this huge thing hanging over my head that made any Mardi Gras or school post seem so trivial. My maternal grandmother, age 88, suffered from a massive stroke and heart attack last Saturday. This has been tremendously shocking for us because she's never suffered from any health issues in the past, so an event like this wasn't even on our radar. After a week of hospice care and difficult decisions for my mom and her siblings, Grams left us early this morning. You may remember when I blogged about her wedding just two years ago. Grandma's whole spirit changed when she met Jim, and although their time together was short, I don't think they ever ended that honeymoon phase of a relationship. My mom said that the whole time in the hospital, in the rare time she would/could talk, she was asking for him. I'm so glad he was by her side. I've done a lot of thinking about my Grams in this past week, and I can honestly say that I don't recall her ever saying anything negative about anyone. Her spirit was too kind for such things. She was the kind of person who just made the best of anything and didn't like to dwell on things she couldn't control. She made everyone feel important and loved. She would light up with pride when she listened to any of us tell stories about our lives, and she was the queen of sending homemade cards for every occasion just so you know she's thinking about you. I feel very fortunate that I was able to grow up with my grandma (all of my grandparents, actually). They weren't just people who sent cards or visited a couple times a year. I spent many, many weekends with Grams learning how to drink unsweetened tea, bake cookies from scratch, thread a sewing machine (a skill I promptly forgot), and win all your money in dozens of cards games. When I was a a kid at the lake house, Grandma taught me the "proper" way to fish, a pastime she and my grandpa enjoyed together often. She made me bait my own hook, catch my own fish, cut and gut it, fry it, and finally eat it. I don't think I've ever done it since (I'm too much of a princess), but I still remember the experience with her laughing as she gently coaxed me throughout the whole process. I look forward to passing on these experiences to future generations with the stories of how my grandma taught them to me. She will forever be in my heart and mind. Rest in peace, Grams! I'm so sorry, Erin! Thinking of you!